Rex Weade made sure his gloves stayed on in the cold weather with a little help from duct tape. 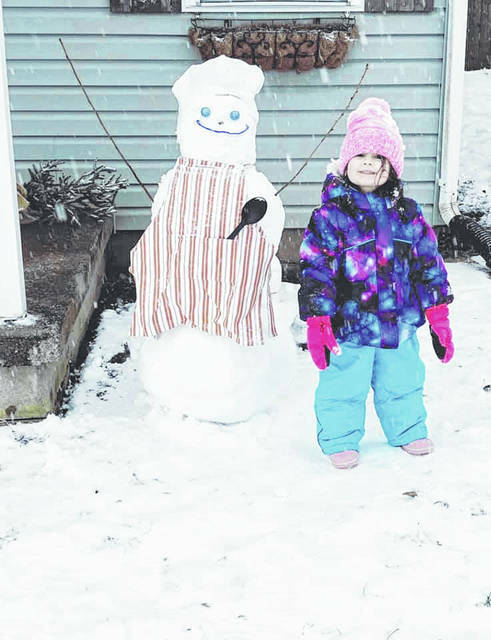 Elena Sanderson, 3, made a new buddy out of snow: Chef Mike. Mindy Jo Artcliff took a little time out of her busy schedule to build this little snowman on the bench at Home Depot to greet all the customers. Lincoln insisted on playing with his excavator and dump truck outside saying that he needed to clear the snow away. Mathew was finally able to break out his sled and enjoy some time out. 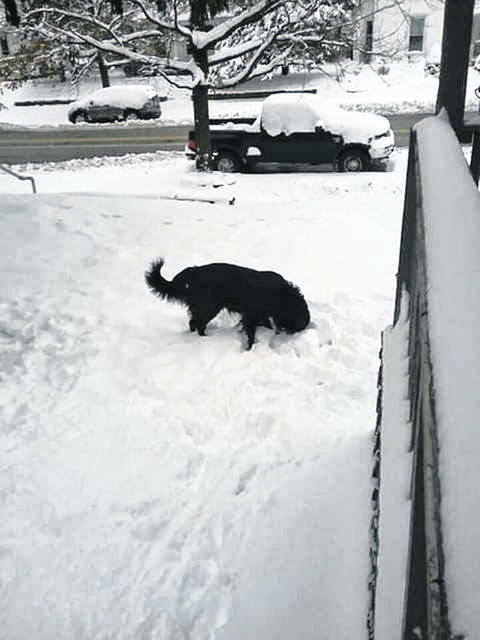 Scrappy, though, was not as big of a fan as he was having trouble finding his restroom with all of the snow covering his yard. This group of kids enjoyed a snow day in Storybrook over the weekend. Bryan Bartruff enjoyed a beautiful scene outside his home over the weekend, complete with a snowman to greet any who passed by. Around nine inches of snow fell on Washington Court House over the weekend and the Record-Herald recently asked the community for photos on Facebook of the winter weather in their area. Here are some of the submissions received: Every year Hayden and his dad Bryan make a snowman when they have some significant snowfall. This culminated in an eight foot tall Frosty after the recent snow. A group of kids enjoyed building a large snowman recently following the weekend snowfall. The kids thanked Scott Cotrill for helping to provide a skid loader so the snowman could make it to its home. Pictured (L to R): Shane Skeeters, Katelyn Bock, Kinlee Woodrow and Kason Taylor. 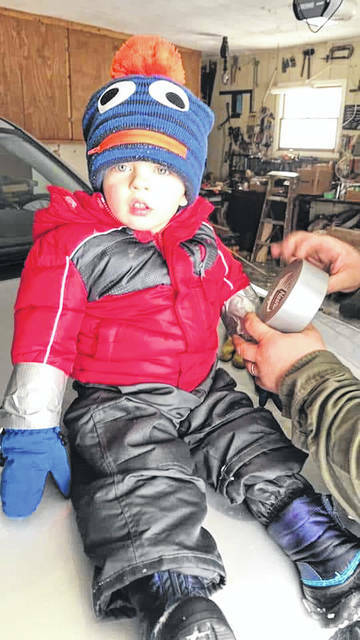 https://www.recordherald.com/wp-content/uploads/sites/27/2019/01/web1_DuctTapeKid.jpgRex Weade made sure his gloves stayed on in the cold weather with a little help from duct tape. 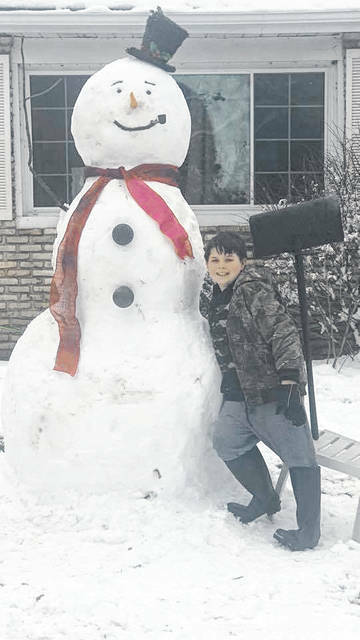 https://www.recordherald.com/wp-content/uploads/sites/27/2019/01/web1_ElenaAndMike.jpgElena Sanderson, 3, made a new buddy out of snow: Chef Mike. 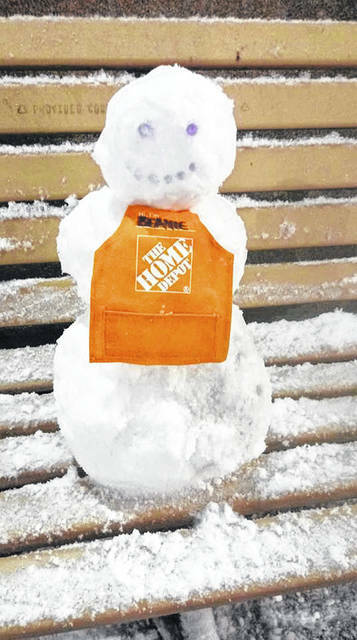 https://www.recordherald.com/wp-content/uploads/sites/27/2019/01/web1_HomeDepotSnowman.jpgMindy Jo Artcliff took a little time out of her busy schedule to build this little snowman on the bench at Home Depot to greet all the customers. 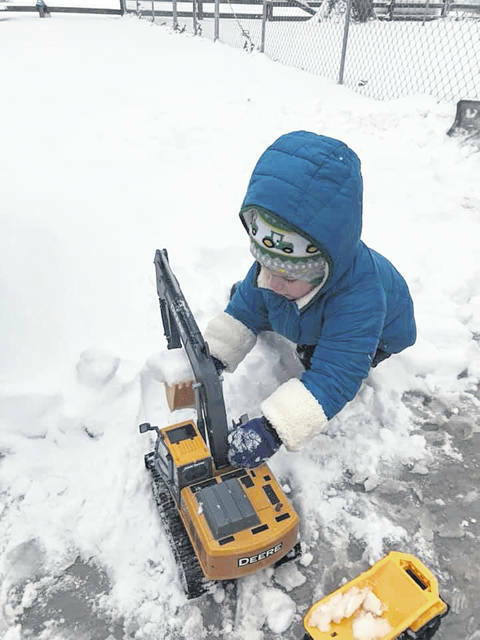 https://www.recordherald.com/wp-content/uploads/sites/27/2019/01/web1_LincolnHelpingClear.jpgLincoln insisted on playing with his excavator and dump truck outside saying that he needed to clear the snow away. 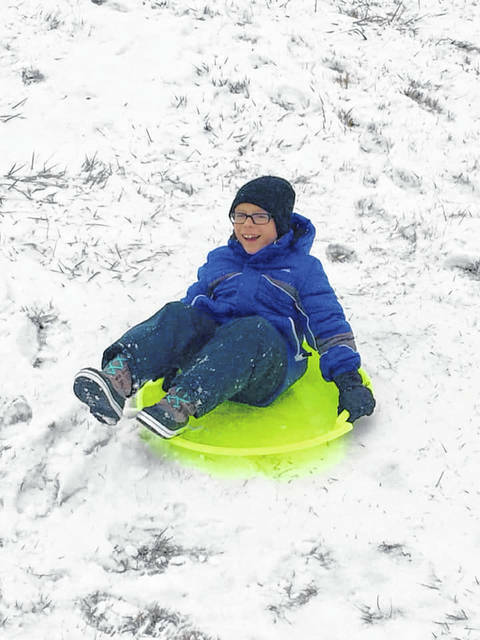 https://www.recordherald.com/wp-content/uploads/sites/27/2019/01/web1_MatthewsSled.jpgMathew was finally able to break out his sled and enjoy some time out. https://www.recordherald.com/wp-content/uploads/sites/27/2019/01/web1_Scrappy.jpgScrappy, though, was not as big of a fan as he was having trouble finding his restroom with all of the snow covering his yard. 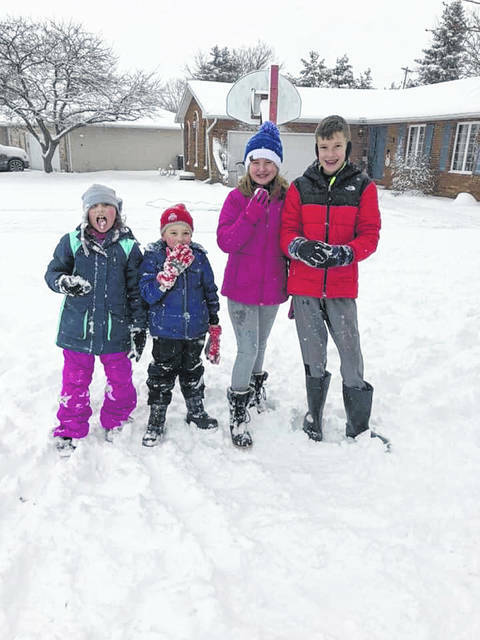 https://www.recordherald.com/wp-content/uploads/sites/27/2019/01/web1_StoryBrookSnowDay.jpgThis group of kids enjoyed a snow day in Storybrook over the weekend. 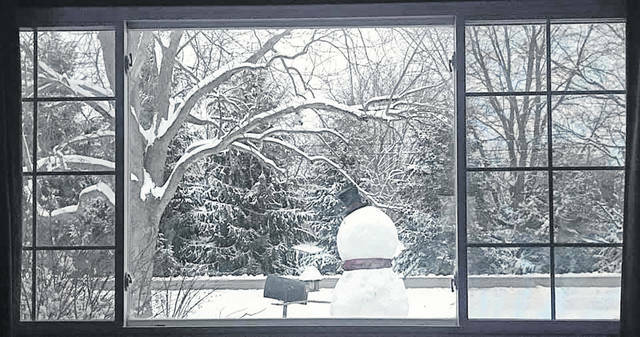 https://www.recordherald.com/wp-content/uploads/sites/27/2019/01/web1_SnowmanEnjoyingView.jpgBryan Bartruff enjoyed a beautiful scene outside his home over the weekend, complete with a snowman to greet any who passed by. https://www.recordherald.com/wp-content/uploads/sites/27/2019/01/web1_SevenFootFrost.jpgAround nine inches of snow fell on Washington Court House over the weekend and the Record-Herald recently asked the community for photos on Facebook of the winter weather in their area. Here are some of the submissions received: Every year Hayden and his dad Bryan make a snowman when they have some significant snowfall. This culminated in an eight foot tall Frosty after the recent snow. 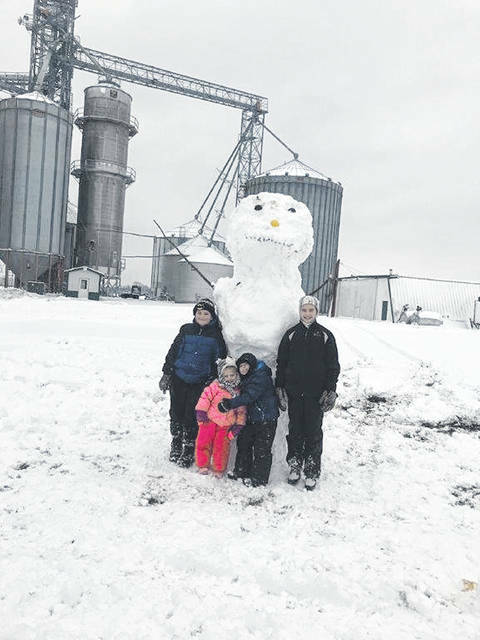 https://www.recordherald.com/wp-content/uploads/sites/27/2019/01/web1_snowman.jpgA group of kids enjoyed building a large snowman recently following the weekend snowfall. The kids thanked Scott Cotrill for helping to provide a skid loader so the snowman could make it to its home. Pictured (L to R): Shane Skeeters, Katelyn Bock, Kinlee Woodrow and Kason Taylor.